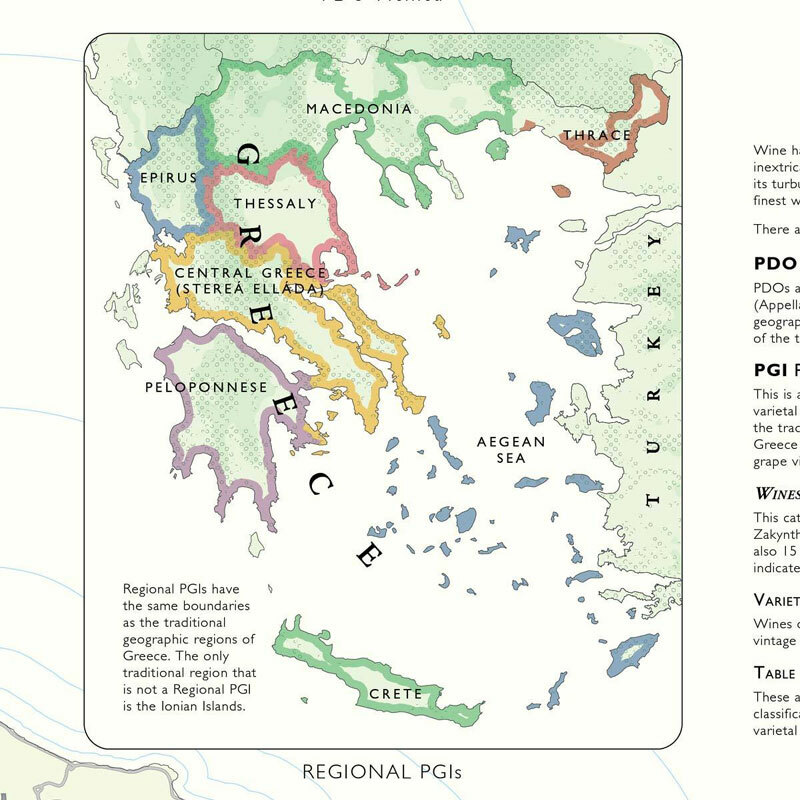 Whether you’re learning about wine or a fan of Greek wines, this map is an essential reference. Only up to date wine map of Greece currently available. 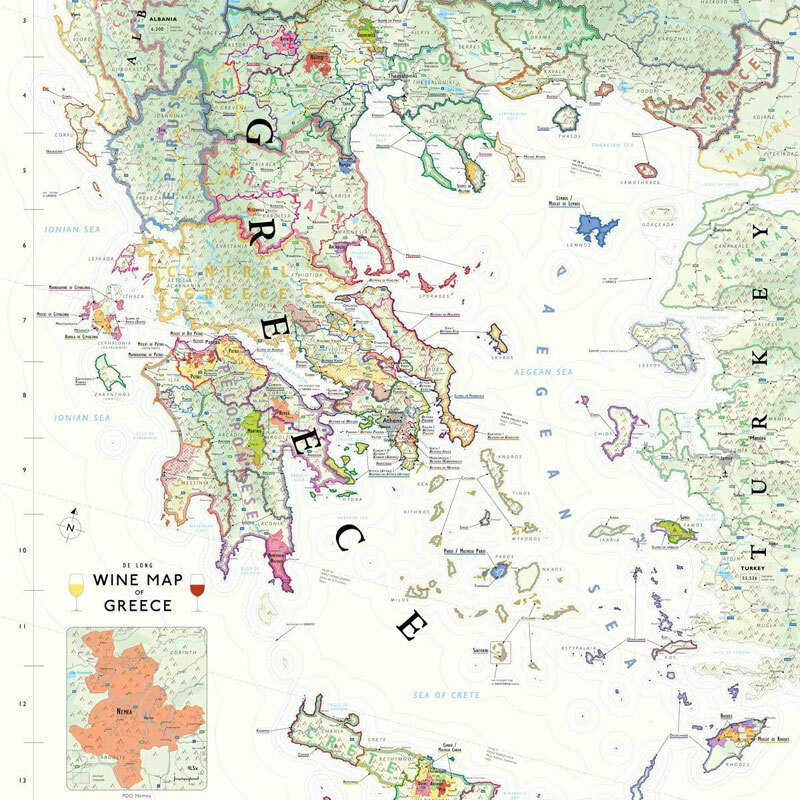 Includes all wine regions in Greece, as well as detailed maps of Nemea and Santorini. For thousands of years, Wine has been made in Greece and it remains an inextricable part of everyday life. 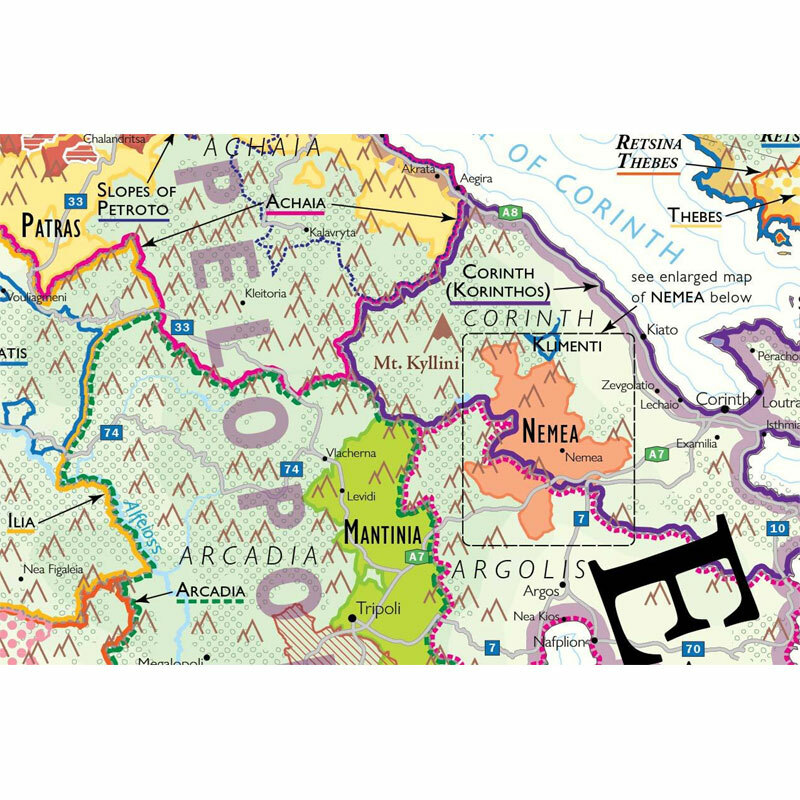 Throughout its turbulent history, the quality has varied but Greece is currently producing some of the World’s finest wines. 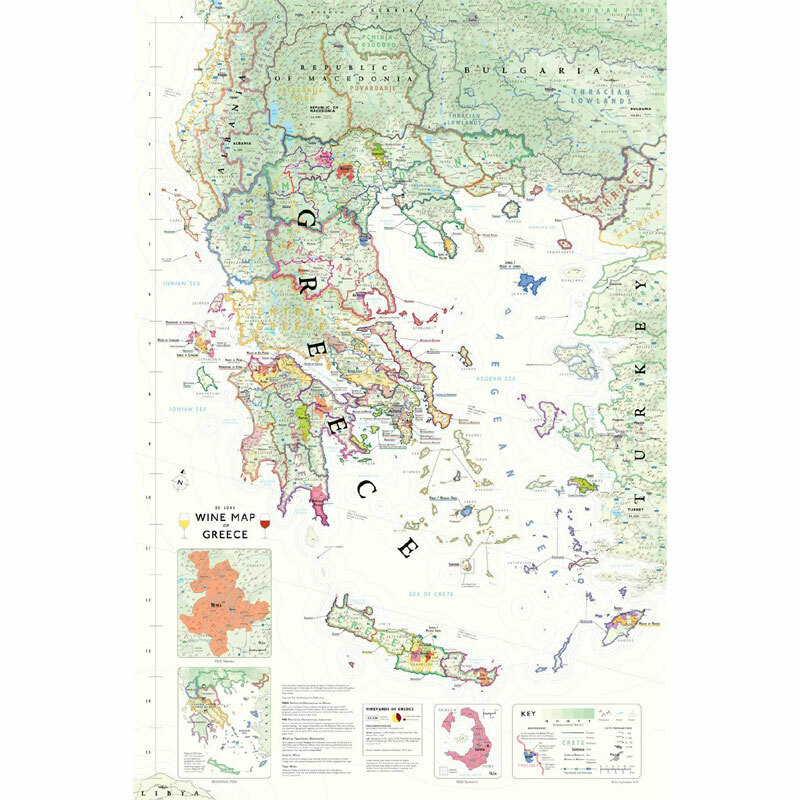 This latest map from De Long is the only up to date Wine Map of Greece currently available. 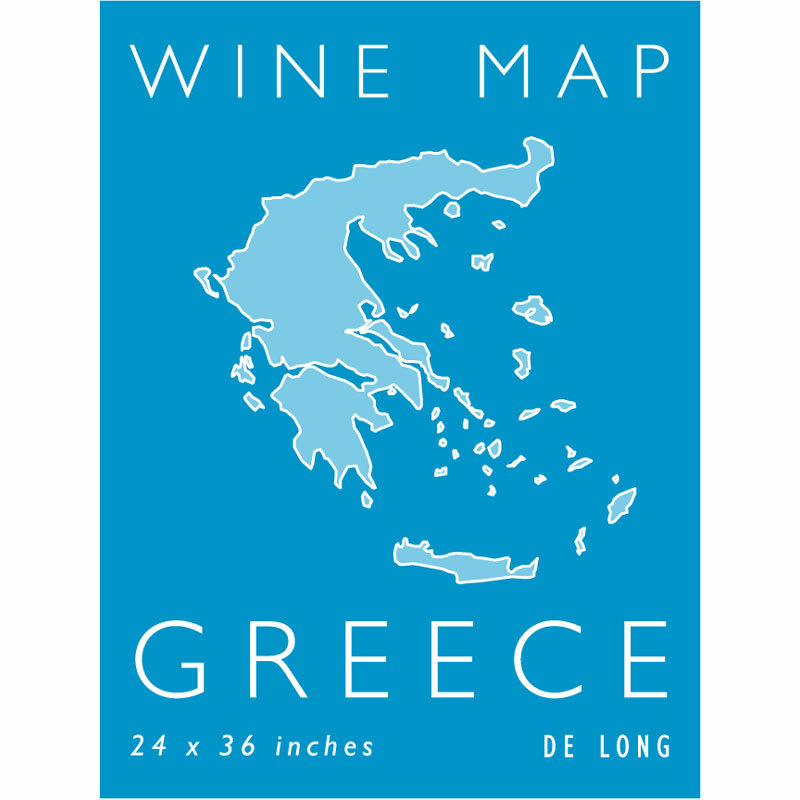 It Includes all of the wine regions of Greece, including 33 PDOs and 120 PGIs & also includes detailed maps of Nemea and Santorini.